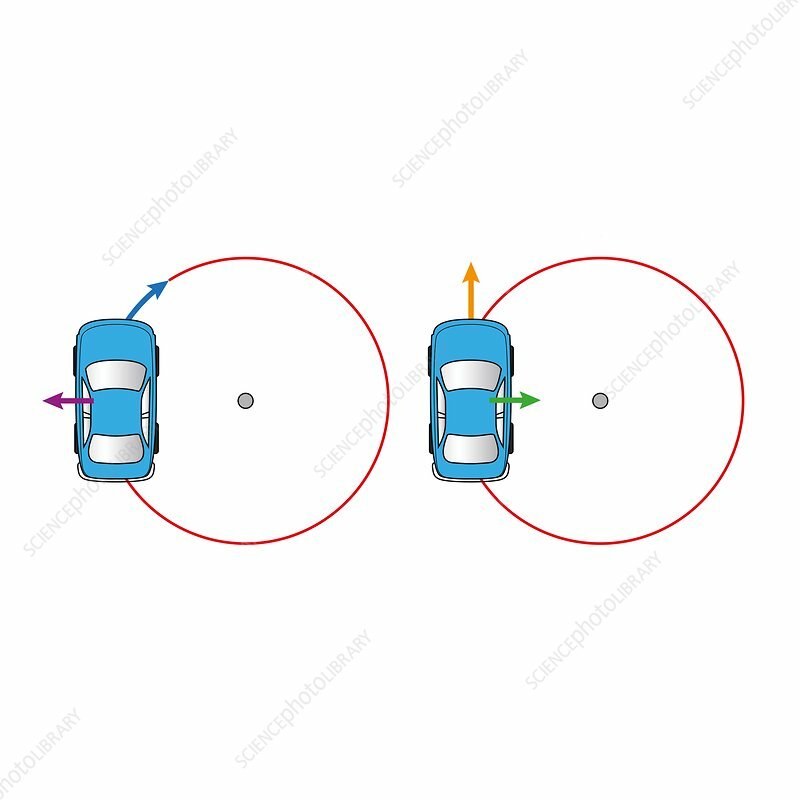 Cars travelling in a circle, illustration. The purple arrow from the car on the left indicates the direction of centrifugal force, which appears to act on the car and its passengers as it circles. It arises from inertia, the tendency of a body to continue in a state of uniform motion in a straight line unless acted on by a force. On the right, centripetal force (green arrow) is the force that makes a body follow a curved path, preventing it from continuing in a straight line, and is directed towards the centre of the circle.